The algorithmic standard elements each Nassi-Shneiderman diagram is composed of are of course referred to at many places of the graphical user interface (GUI) of Structorizer: in menus, dialogs, and messages. The elements must of course be named somehow. These names are subject of localization i.e. per chosen language there will usually be a different set of designations. The localization is not always complete, looks sometimes un-natural, is not necessarily unique and sometimes not even consistent. Moreover, it is not always welcome to everyone. Many users feel more comfortable with the familiar English concepts. 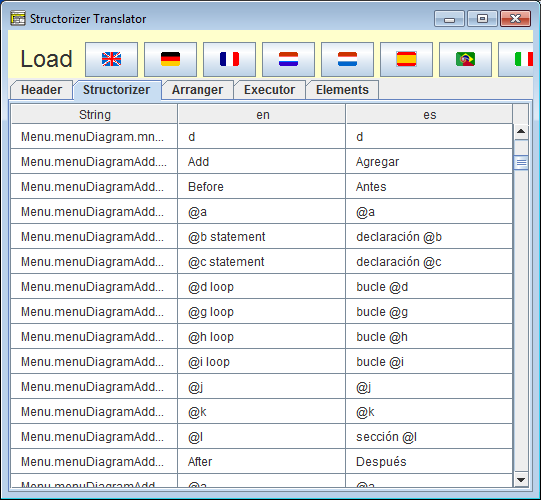 By means of the Translator tool, you could of course derive an individual translation file from the respective locale shipped with Structorizer. But this is tedious, not only because of the many occurrences of element names in the locale files. An additional complication is: Whereas in general any accomplishment proposal sent to the developers (particularly for those locales that have fallen behind the functional development of Structorizer) is highly welcome, this may be of little help in this specific field of element names where conflicts are likely. Structorizer now offers you to configure your favourite naming of element types in an easier and more sustainable way (since version 3.27-04). Such individually specified labels will override the localized names from the locale, independently of the chosen language. If you disable the configured labels (uncheck "Enable the configured labels"), then the specified names won't get lost but remain there inactively such that the replacement may be re-enabled whenever this seems opportune. Lest unaware users should be irritated, the checkbox will automatically be unselected whenever you change the locale (i.e. 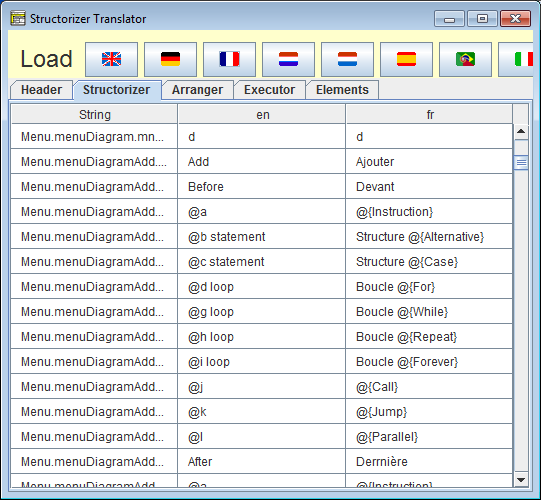 switch to another language via menu Preferences => Language). But as soon as you turn the mode on again, the replacements will immediately be effectuated, no matter which language you are in. Well, this is not quite true because some of the locale files haven't been prepared yet to support this feature. The user-specified element names use the same place holder mechanism but aren't stored in the locale files. 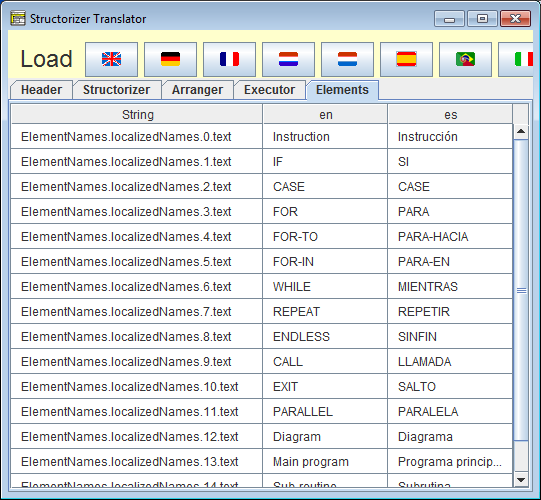 Instead they reside in the "structorizer.ini" file in the user home directory.